Home Uncategorized How Peruvian Is Paiche? Paiche's seafood dazzled critics, but the restaurant could be turning into a different kind of seafood spot. UPDATE: Due to a family emergency, the opening has been delayed to April 12. On Tuesday, April 2, Paiche—the third restaurant in chef Ricardo Zárate’sPeruvian restaurant empire—will open in Marina del Rey showcasing a Peruvian izakaya concept that’s become increasingly popular in Lima, Peru’s capitol. Paiche (named after a large amazonian fish that’s featured on the menu) is a departure from the Andes inspired dishes at Mo Chica, and the fancier Peruvian shared plates of Picca, to a Peruvian bar food menu that explores the coastal cuisines of Peru as well as the amazon. Think lots of ceviches, and plates featuring a few Amazon river fish—like paiche! Zárate is a booster for modern Peruvian in the U.S.—a genre that has been given the cuisine-of-the-future nod by Ferran Adria and his G9 cohorts(Adria is opening a Peruvian restaurant in Spain with Peruvian Chef Gaston Acurio). Zarate’s restaurants are in step with Lima’s contemporary dining scene sans the avant garde techniques. The restaurant’s menu is formatted like many top spots in Peru’s capitol with sections like frituras, or fried foods, where you can sample Paiche’s trio of yucca croquettes filled with parmesan—Peruvian cheese bread—accompanied by a mild chile serrano dipping sauce. Those familiar with Zárate’s cooking can count on anticuchos, or skewers cooked on a customized robata grill—including a butterflied chicken given a tang from panca peppers and a sake miso marinade. Expect to pay around $10 or less for bar bites to wash down with a selection of piscos, beer, sake—keeping with the theme—and cocktails. 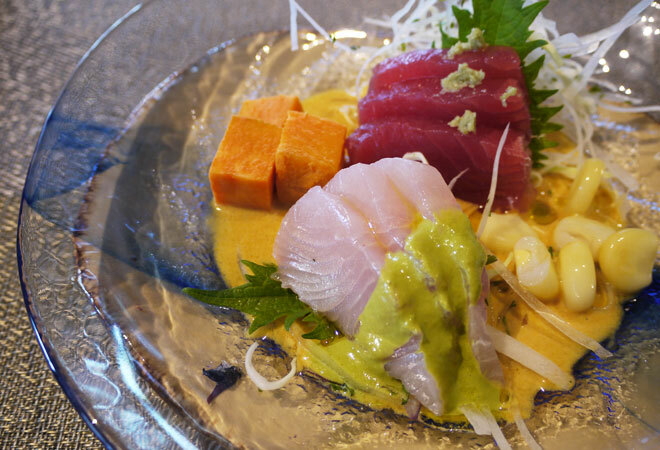 Ceviches are arranged in a bowl sashimi style, ceviche sauce on the bottom, highlighting the strong Japanese influence on Peruvian cuisine. But don’t be confused, it’s ceviche folks.